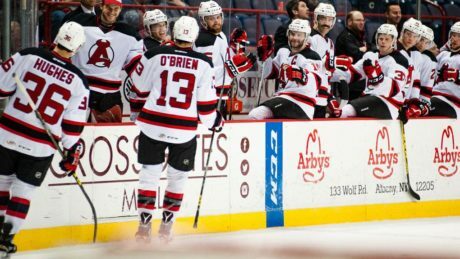 Jim O’Brien, who left Game 2 with an upper-body injury, is expected to play during Tuesday’s Game 3. 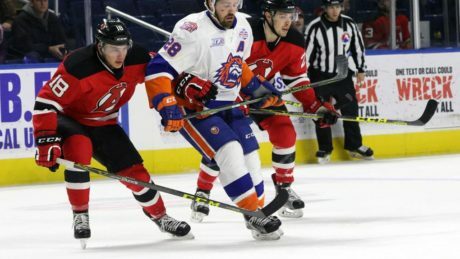 A four-goal second period outburst propelled the Devils to a 5-1 win against the Comets Saturday at Times Union Center in Game 2 of the Calder Cup Division Semifinal. 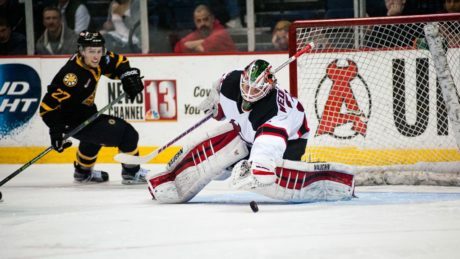 The Devils erased two deficits, but lost in a shootout, 3-2, at Hershey Saturday. 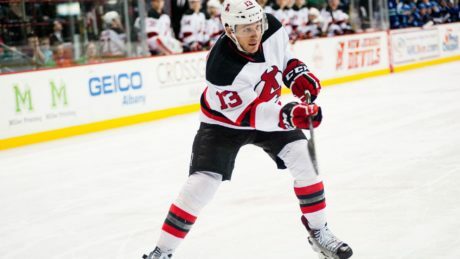 The Devils continue to impress even with a limited roster. Here are three thoughts from Tuesday’s game. 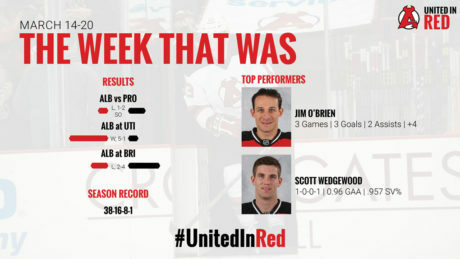 The Devils split their three games last week, going 1-1-0-1. 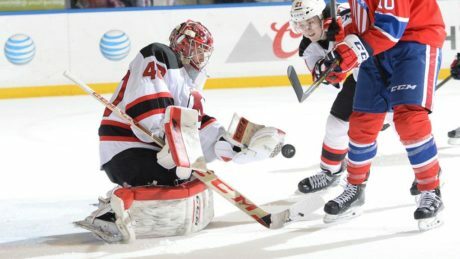 A goaltending duel Wednesday at Times Union Center ended with the Bruins prevailing, 2-1, in a shootout against the Devils. 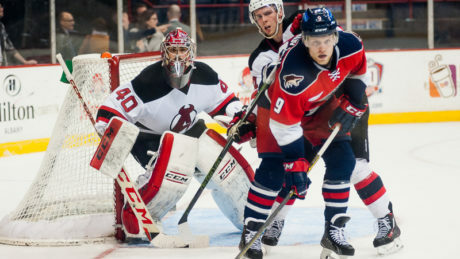 Both Scott Wedgewood and Providence’s Jeremy Smith made 23 saves, but Smith made two additional saves in the shootout.